National glory on the fairways and greens almost became a reality for the members of Athlone Golf Club Pierce Purcell Shield playing panel and management as their driving aspirations for glory at the All Ireland finals cups and shields fell short in the ultimate fixture on Friday last. 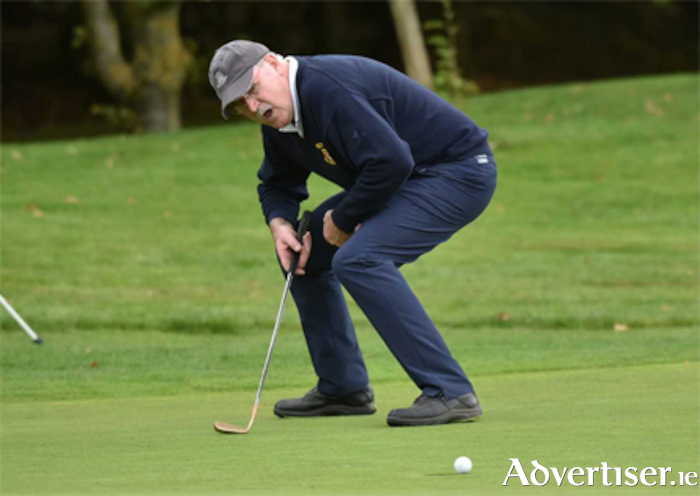 Having gained a narrow victory over Ballyclare Golf Club on Thursday afternoon, the cohesive unit advanced to a final fixture against Nenagh, but despite their eager endeavours, the Tipperary club secured victory, much to the disappointment of the Athlone golfers. Having attained provincial victory in August with a convincing final victory over Cregmore Park Golf Club, aspirations of national success were to the fore, but achieving a final place is a noted accolade with thoughts of further achievement in the competition in 2019 a strong possibility.